Double Chocolate Ice Cream. Yesterday, I asked my daughter what she wanted to help me make. She requested chocolate ice cream. She is a huge chocolate fan, so of course we had to make it extra chocolatey ice cream! 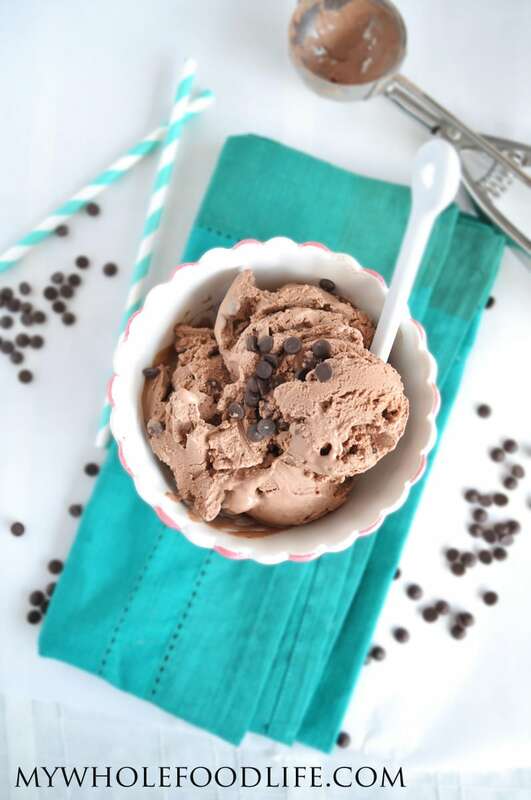 Homemade ice cream is so much better than store bought. You can control the ingredients. This ice cream is also packed full of chocolate chips. A must try for any chocolate lover. My husband and older daughter are the true chocolate lovers in our family. An easy recipe that your kids will love! Make sure your ice cream bowl has been in the freezer for at least 18 hours. In a large bowl , or blender mix all ingredients except the chocolate chips. Stir until everything is mixed well. Pour into the ice cream maker and turn on. It should take about 15-20 minutes to make ice cream. When it looks like it's almost done, add the chocolate chips. Then use a spatula to guide the mixture around so they get evenly dispersed. The ice cream will be a soft serve consistency. If you like a harder ice cream, stick yours in the fridge for another hour. I like to store my ice cream in this tub . It's the perfect size for my freezer. Enjoy! Any healthy substitutes for coconut milk? My kids don't like the taste. Does it need to be dairy free? Cashew milk may work and if you are okay with dairy, you can use heavy cream. Made this today. Turned out great. You would never know it has no dairy. I used cacao powder and raw honey, because that's what I had in the house. I loved the rich chocolate flavor.